“The Mad Professor” Fantasy Baseball 2018: Buyers Remorse? Confession? Triumph? OK. The prognosticators have prognosticated. Talk has been trashed. Drafts are over or just about over. It’s time for Opening Day. So, now that the thrill of the draft is over, it’s time to examine our consciences, confess our sins, second-guess ourselves and mock our colleagues for their unwisdom. In the spirit of this, MLFS offers you a week of confessions. We all have different muses. For this one, I’ll invoke Augustine in hopes that he might toss a bit of residual wisdom my way. Speaking of muses (we’re not worthy! ), Ron Shandler reminds us of his Christie Brinkley Rule of Statistical Analysis every year in his Baseball Forecaster. The Brinkley Rule is concise: “Never get married to the model.” Sometimes, this is easier said than done—especially if one is on record supporting the use if not marriage to a particular model. So, when entering draft day, what’s your theme song regarding your model? Geils–Love Stinks? (Great tune by a great Boston band). So, here I am in the midst of several drafts. I’ve had one AL 12 team auction and one MLB 12 team snake so far and have an MLB 10 team auction and a 14 team MLB snake remaining. So, what have I learned this year? Am I gonna be Augustine or Clark Griswold? Regardless, I think the two rules I emphasize (but can’t take credit for) still apply and make sense: 1) Don’t overpay for first rounders and 2) Don’t overpay for SP. In my AL auction draft, I was amazed at how much folks paid for studs. Trout went for $71. Stanton went for $65. Altuve went for $68. Jose Ramirez ($54) and Alex Bregman ($52) rounded out the over $50 bids. Call me crazy or conservative. But I can’t see the wisdom of forking out 20-27% of my budget on any one player. If any of these guys gets hurt, there will be no recovery. Bregman’s bid seemed bizarre—until you realize that 3B is pretty thin. Accordingly, the feeding frenzy for him was the equivalent of a good old-fashioned, panic-driven closer run. Only Chris Sale ($43) and Korey Kluber ($41) cracked the $40 ceiling. In my MLB snake draft, I tried messing with the other guys’ minds and ended up messing with my own. Still, I came out with a respectable team. Really, though, I find the constraints of the snake draft disorienting. If I want a crack at Trout or Kershaw, I should be able to bid on them. But, if I draft 8th, I better lust after someone else. No real strategy. No bluffing. Yawn. Anyway, in the first annual MLFS Staff MLB snake draft, I drew the 10th spot. Lovely. Everyone went after power, so I took a risk and went to win SB by taking Dee Gordon. I followed with Jose Ramirez and Starling Marte. I like Marte as a bounceback candidate. But, I could have waited a couple of rounds on him, I think. But, then I made a boneheaded move by not seeing Benintendi and grabbing Billy Hamilton instead. I have SB locked up. But, this was overkill and a bad mistake. Really not happy with the draft tho. A lot of middling power and reasonable SP. Should have gone for more power overall. My SP are a round or two lower on average than I’d prefer. But, as the season wears on, I figure I can move speed for SP upgrades. In the auction draft, I also may have waited too long for an SP base. But, I figured to take some risks because of the following. First, the 10-day DL has already wreaked havoc on SP predictions. Second, there are teams who are seriously looking at maybe even 6-SP rotations to start the season. Third, Tommy John surgery remains too prevalent. Fourth, even studs are being watched carefully. So, you have to figure that Kershaw will get a breather here or there to keep him whole. The Dodgers’ SP depth will allow this. So, going with a 4 ½ man rotation early on will keep Kershaw going (tho depress his counting stats a bit) while increasing the value of young SP or injured folks (Maeda, Buehler) who may not slide right into a regular position in the rotation. Same goes for Chris Sale. The Sox announced they’d watch his a pitch count. Last year, he essentially pitched 9 more games than everyone else because of his pitch counts. Accordingly, I looked for stud set up and long relief guys. I’m sitting on Robertson, Devenski, Miller, Carson Smith, Juan Minaya and Tommy Kahnle. I got these guys relatively cheap. Miller cost $10. Robertson cost $5. The rest were $3 or less. I’m betting these guys will combine each week to rack up maybe 2 games’ worth of IP. With their K/9 rates they will offset my middling SP staff (Manaea, Porcello, Giolito, Bundy, Eovaldi). I’m short on closers and saves. But, I figure I can offset that with solid K and holds at least early on. C: Zunino. ($4 at 114). A potential steal. I was not going to pay for Sanchez and the panic to grab the other C at high prices did not justify the projected weak production. 1B: K. Morales ($1). 1B is thin and the bidding was nuts. I did wait too long. But, I picked up Marwin Gonzalez for $9 and that allowed me to look for value at either 1B or 3B. Marwin is no Arenado. But, he will give me 20-75-280. That’s ok with Morales’ 30 HR potential at 1B. 2B: Dozier for $30. A bit high price tag (OK. I’m cheap). But I’ll take the HR. SS: Andrus for $27. Hoping the power surge and the consistent SB continue. Need to pay to play. Just in case, I got Tim Anderson for $11. He flamed out last year. But, he will bat atop the White Sox lineup and will be good for 500+ AB. With his SB potential, he is great value. Either of these guys is trade bait. 3B: Marwin Gonzalez ($9). A potential steal. He plays everything but the National Anthem and has quality plate skills. Khris Davis ($41). OK. He’s no longer Rodney Dangerfield. 40 HR is worth $0 in AL-only. Justin Upton ($44). A solid 5-tool player who is living up to his billing. So, I paid just shy of $200 for my offense. Anderson or Duda ($1—a potential steal with his power) are my Utility bats. It’s a potent lineup that, I hope, can generate enough weekly H2H points to let my pitching maybe split 3-2 or 2-3 and get me wins. We’ll see. Monday morning quarterbacking is as lame in baseball as it is in football. I’m happy to say that in all my drafts, I’m swimming with a bunch of sharks, who, for the most part, know one another a bit better each year as they return to their drafts. So, the virtual mind games can be brutal unless one masters the Jedi mind trick. This is the great stuff about fantasy sports, no? Strangers become old friends thanks to a goofy digital connection that brings them together for annual drafts and a season of trash talk. Best of luck for the coming season! 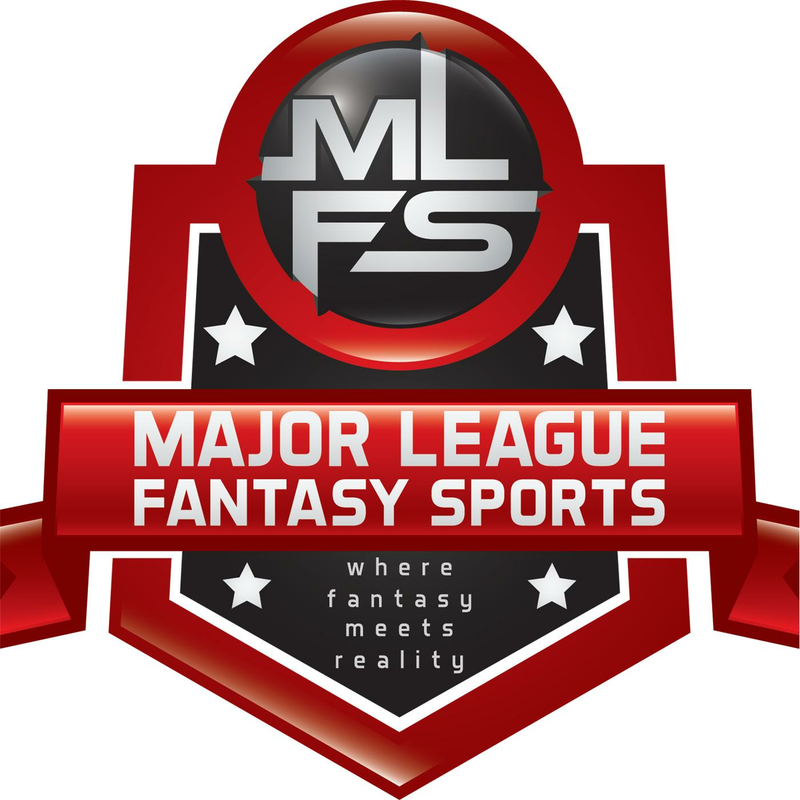 Major League Fantasy Baseball Radio Show: Join host Brian Roach, Jr, and John Gozzi live on Sunday March 25th, 2018 from [7:30]-9pm EST for episode #109 of Major League Fantasy Baseball Radio. We are a live broadcast that will take callers at 323-870-4395. Press 1 to speak with the host. This is our kick off show for the new 2018 fantasy baseball season. We will discuss the latest information in the world of fantasy baseball. Our guest this week is Coach Andy Macuga. Andy is the Head Coach for Borrego Springs H.S. in the San Diego area. He has been an owner in our leagues for 6+ years, and also contributes to our football shows as well. He is also the Head Football Coach for Borrego Springs.